What if you can predict the future? Not only to predict, but also to have a high chance of success in your prediction. Never miss another golden opportunity to make quick & well informed decision, and to maximize company profit and potential. In FMCG (Fast Moving Consumer Goods) industry, management of resources and profits can become quite complex. This is due to aspects such as large number of data involves in transactions, accurate analysis, and data transparency. Data is everything in making well informed move; however, the conventional ways of manual reporting and the use of spreadsheet are cumbersome, and it does not give insight to help making the right decision. The ability to make decision fast and accurate is the different between survival and success. For example, holding an ad-hoc marketing campaign over certain period of a product trend, can be a huge success only if it’s held on the right moment. On the other hand, fail to hold the campaign mean a huge opportunity miss. Therefore, analyzing the right data to tackle the most important need of your company ensures your success. Data by itself is useless without the understanding of how it can help you move forward. Collexe understands the need to move forward fast and to grab the opportunity that is presented. With the right consulting and technology, you would see the progress of your company. 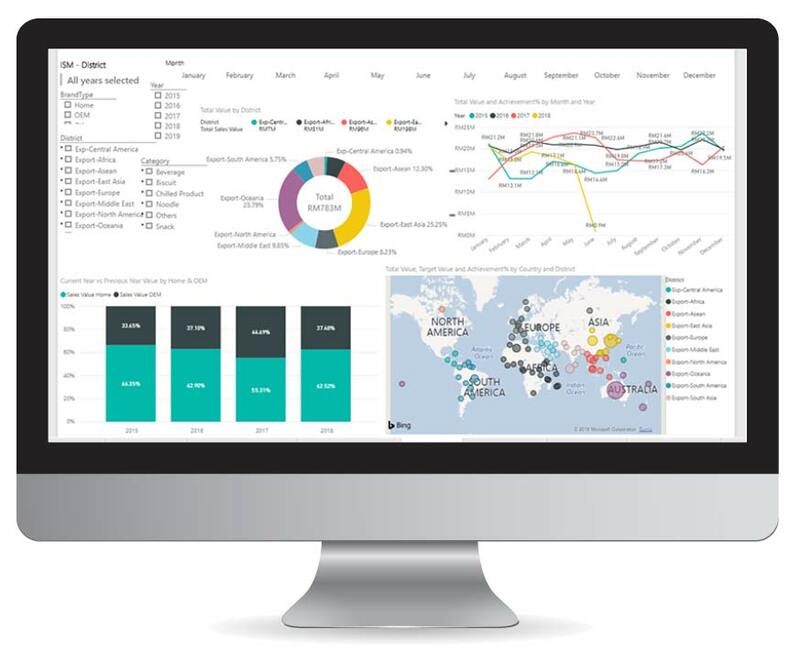 Microsoft Business Intelligence consolidates all data and provides simple and interactive tools to translate in FMCG industry. 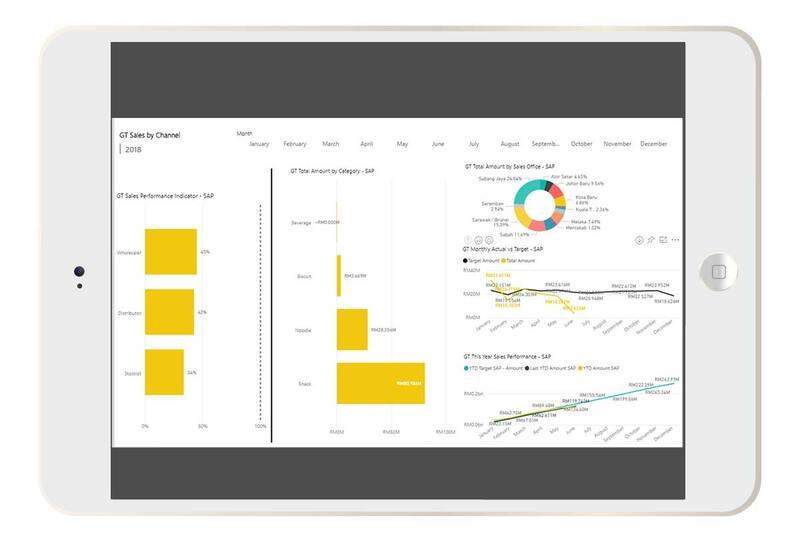 We believe that in utilizing Microsoft Power BI; we can provide a complete consultation and provide you the tool to make the best decision. What do you need for digital success? We need to evolve our perception of digital transformation from disruption agents into agent of benefits to improve performance in much higher efficiency. In order to be successful digitally, we need to have agility, innovation, and engagement. Digital transformation makes businesses operate efficiently, because it will change the way conventional businesses run and enable businesses to gather important data faster. Customer would be able to access product and product information faster; customers are able to self-serve in term of making purchase decision, and selecting product variety. Businesses would also gather information on market trend by not only looking to purchasing trend but also competitor’s performance. 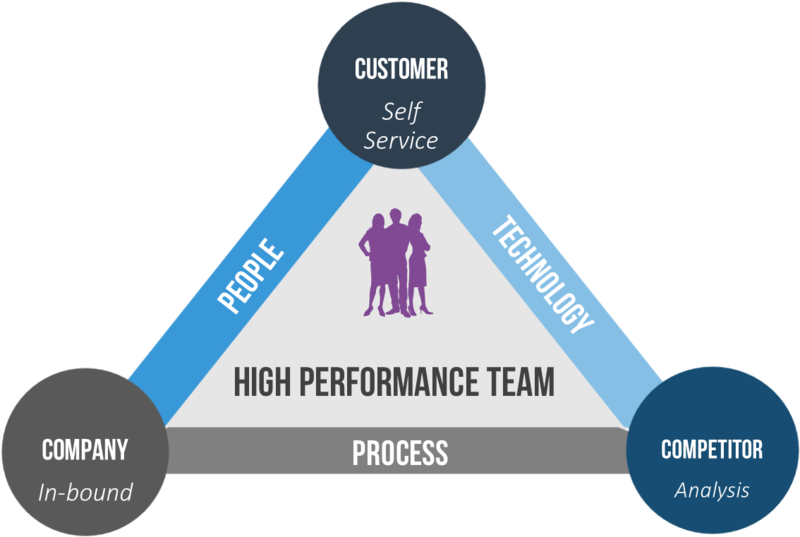 In bound businesses, Competitor analysis, and customer self-serve ability are three aspects that form a high performance team. Why Empowering FMCG with Business Intelligence? 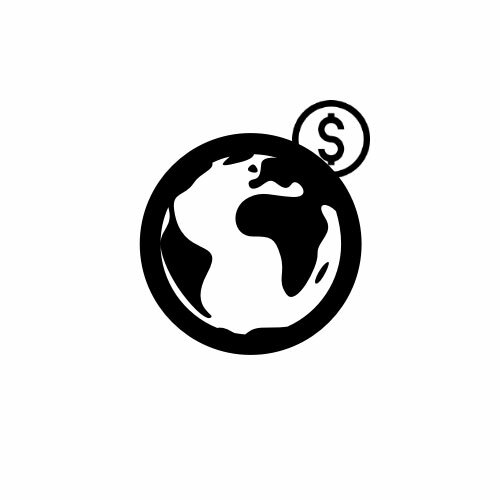 Collection of transaction data from all stations and formalize into a data repository. This would enable merchandise team to evaluate on product sales, individual & bundle performance, also on correlation sales and more. Business Intelligence helps establish common baseline to maximise the profit & merchandise marketing efficiency. Consolidating consumer database and marketing survey data for a total of more than 10 years. Consumer marketing team to harvest on target consumer profile that fit the campaign and optimize the segmentation for better planning. We approach challenges with the mindset of understanding the true nature of our client’s problems, and resolving the problems by looking into various sources that cause them. Utilizing the design thinking method to enrich our knowledge on nuts and bolts of FMCG Industry, we are able to provide solution and insight that truly tackles the challenges our clients face within the FMCG industry. 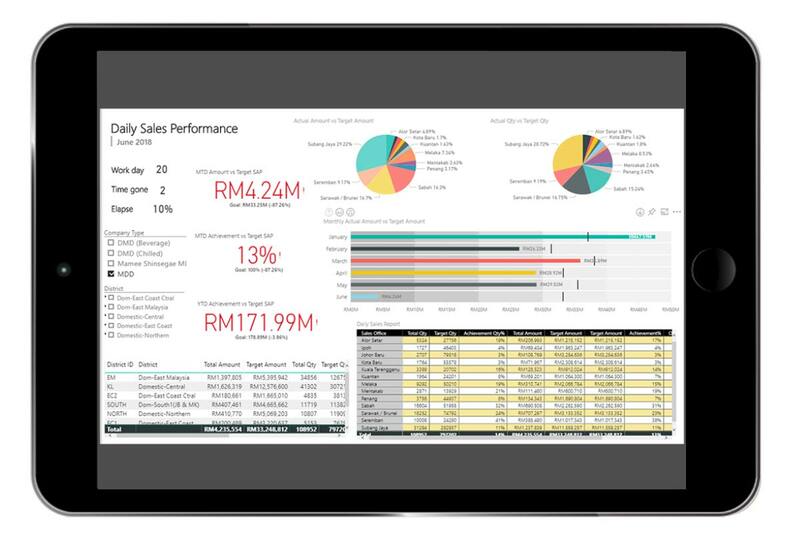 Utilizing data display in Business Intelligence, decision makers can monitor the trend of a given territory of sales or marketing people. Decision makers can focus on certain main products or services that their business produces; decide which product to put more emphasize and make future targets based upon the demand within the area. Decision makers can also monitor the performance of their marketing and sales personal, as a whole or individual. All these can be done anytime where data available for access daily with business intelligence.